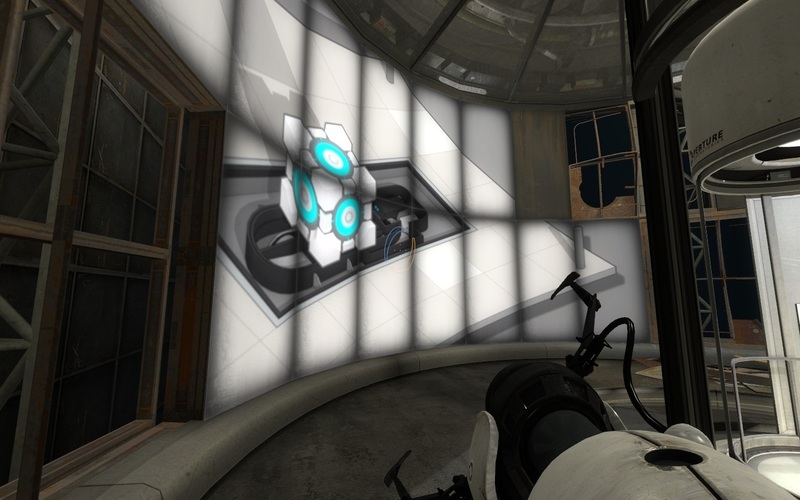 In our first Game of the Year piece after our 2011 relaunch, I hailed Portal 2 as my Game of the Year in a year filled with worthy titles like The Witcher 2, Skyrim and Battlefield 2. Two years ago it came down to a close fight between Dishonored and Far Cry 3. I still don’t know whether I made the right decision there. Last year I gave the award to Black Flag, though Super Mario 3D World was a close contender along with the Dishonored DLC and Grand Theft Auto V. Despite the quality titles from last year, few matched the genius of the proceeding two years. This year I find things even less clear cut. There have been some stupendous games that I haven’t played (Alien: Isolation and Dragon Age: Inquisition) or haven’t had the time to review (Metal Gear Solid: Ground Zeroes and Far Cry 4). There have been been so many good games, but nothing quite matches 2011 and 2012 in my eyes for absolutely stunning games. Whether it is down to the fact that we are at the early stages of the new console generation, and developers are only now starting to learn how to push our gaming experiences forward, or that Valve have been stupidly quiet when it comes to their narrative led games, I don’t know. My only regret from this past year? Not having played as many indie games as I am used to. Games like Iron Fisticle and Stealth Inc 2 show that there is plenty of talent in the indie scene, but I simply haven’t found the time for the many other great titles that have been released. 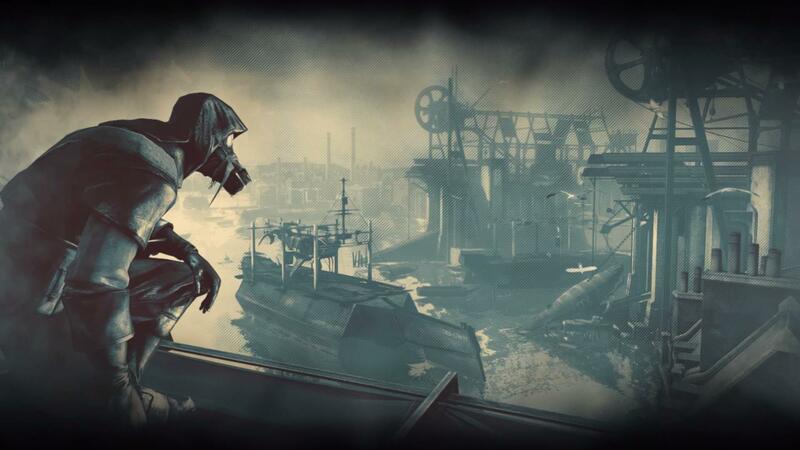 Nothing this year quite capture the joys of Dishonored from years gone by. Anyway, here we go with five games that all stand out in my eyes from the crowd, yet sadly, not one of them gets to stand out as the one true Game of the Year. Maybe next year I’ll have something to match 2011 and 2012…. 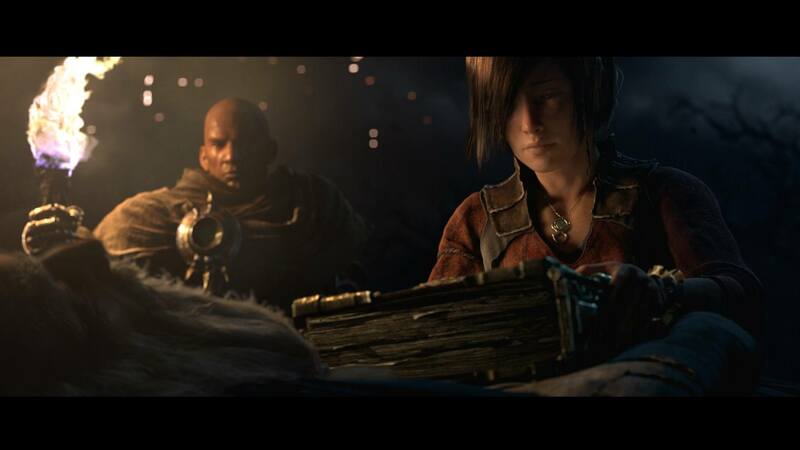 Diablo III become a much greater experience as the year went on. When Diablo III was released, I thought it was brilliant, but after completing much of the game I found myself wondering what else I should do apart from play through the long slog of the story again. Reaper of Souls came along and introduced a closing chapter to the game which was better than half of the original chapters while heralding Blizzard’s introduction of a wonderful new end-game with the Nephalem Rifts. The game has gone from strength to strength this year with constant updates, and the console version isn’t half bad either. 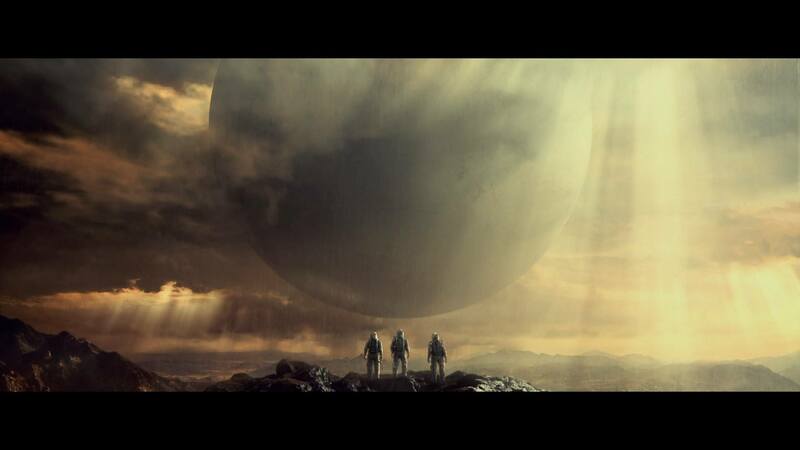 Destiny, great but not quite special enough. A game with many flaws, a game that really could have been pushing for a standalone Game of the Year nomination, but one that just falls short of greatness. I absolutely loved it as judged by my Red Mist Verdict, but it just isn’t quite up there with something like Portal 2 or the double-header of Dishonored and Far Cry 3. It is great fun and the feedback loop of ‘shoot alien, melee alien, throw a grenade at alien’ is perfectly judged for a first-person shooter. I just wanted something more to tip it over the edge. In a similar fashion (although I didn’t give it a Red Mist) we have Wolfenstein. One of the strongest shooters of the year, with a take on the clichéd World War Two and Nazi’s themes that set it apart from feeling like a throwback to heyday of Medal of Honour and Call of Duty. I recommend any fan of shooters to check it out, but unlike the aforementioned Dishonored and Far Cry 3, it doesn’t quite hit me in the gut like a standalone Game of the Year. 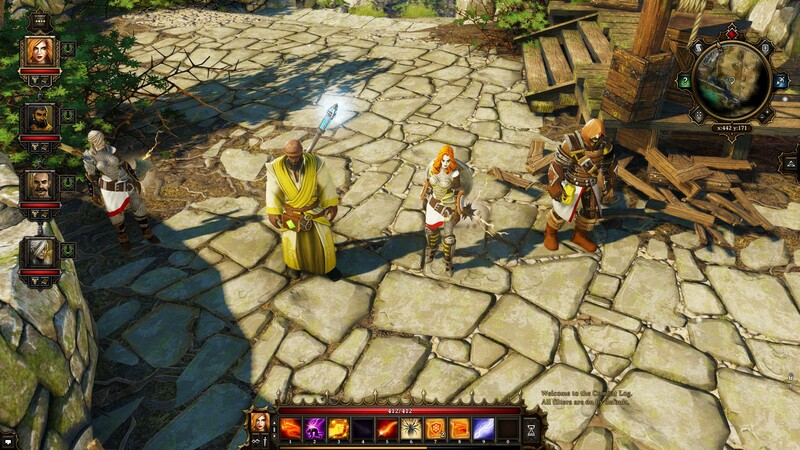 Divinity is great fun, but something of a challenge at first. Original Sin is a game that I first paid attention too when it was in Early Access development in March. It was an RPG with a welcome return to the isometric party based formula and was home to some wonderful writing. For an RPG fan, it would stand proud and tall, but for others I still feel that some of the early game balancing issues prevent this from standing out from the other games I’m talking about here. Mario Kart is the best party game of the year. But not THE Game of the Year. Any game from Nintendo will have its detractors when it appears on Game of the Year lists as there will be some quarters who don’t think a game with such a limited audience can achieve that mantle. 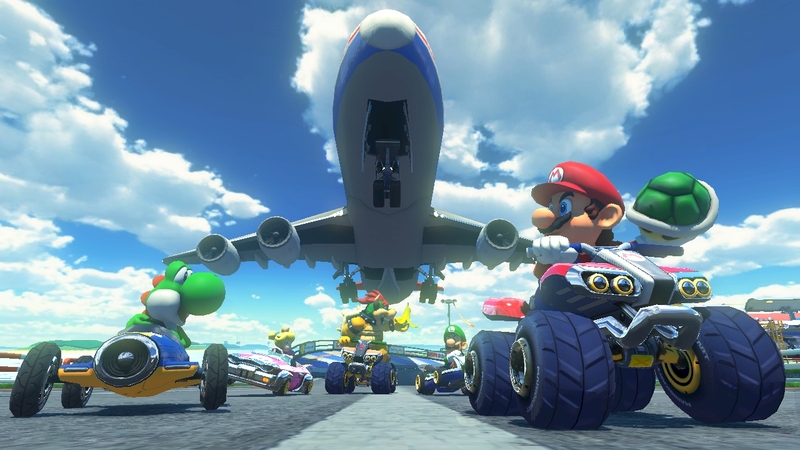 For me, the reason that I can’t put Mario Kart out there as a standalone Game of the Year is the fact that it is a racer, and I rarely think racers can be given the title of the definitive Game of the Year. Mario Kart is a wonderful title though, it retains the Nintendo charm for brilliantly entertaining party games and also shows that they can put together a good multiplayer game. Samuel L Jackson was amazed to see an axe had appeared, as if from nowhere. Despite some potentially amazing titles being released this year, very few of them actually ‘stuck’ with me. Sure I’ve played some good games, but were any of them actually great? There are two that stand out though. The first is the seminal ‘The Walking Dead: Series 2’. I’m used to being shocked in games, or at least I thought I was: TWD:S2 however pushed new boundaries. There are scenes in it that made me wince, and I’m as de-sensitised as they come. There’s moral anguish and some genuinley distressing decisions to make. It takes something to build characters the way telltale do. They don’t overdo it, they’re content to allow things to build slowly and for the characters to develop ‘naturally’. Sure, there are some pretty devastating character arcs, and again, some of them are….. abrupt… but I’ve grown seriously attached to some of them. That in itself is an accomplishment, to feel something towards these characters, some of whom perform some abhorrent acts, yet you still can’t help but sympathise. There’s no cartoon black and white morality here (despite the graphical style), everything and everyone is a shade of grey (before mostly ending up red…) and that’s it’s strength. The characters have flaws, and are more believable as a result and despite yourself, you find that you begin to invest in them and their journeys. In the second series there are a few scenes that stand out and, truth be told, will stay with me. The finale of the series and the difficult decision you have to make encapsulate the whole game so well. Clem is a young girl who’s grown up, despite her age, very quickly into an exceptionally harsh world and throughout she can often seem the most mature person in the group(s). It’s these beats, and the expert pacing that set this apart. I cannot think of any game that’s brought forward such characters and such moral dilemmas as this series has, and for that it’s my stand-out game of the year. ….but that’s only because Elite:Dangerous wasn’t out sooner…. My word it’s good…. My snowman sadly only scored a 7 due to lack of carrot nose. The machine gun and themed jumper were however praised as a nice touch. 2014 has been a struggle for me to find a definitive Game Of The Year. To my relief, at least the Reticule has always played loose with the term – for us, our Game Of The Year is just any game we’ve enjoyed playing that year, regardless of release date. This is immensely useful to me, as to be honest, I can’t remember the last time I bought a brand new title. Release dates come and go, and if it wasn’t for people complaining about day one bugs I’d probably never even notice most games actually coming out. Instead, 2014 for me has been all about the missed opportunities – games I’ve always been aware of, but for one reason or another had never got around to picking up – like Saints Row IV. I’d seen the buzz on Twitter, I’d read the reviews, both favourable and not quite so, and I’d make a definite decision to buy it. Somehow that never actually happened until September of this year. I’ve often mentioned that I’ve always wanted a definitive super-hero experience from gaming, but never quite seemed to find the perfect game for it. Saints Row IV doesn’t quite hit the nail on the head, but it definitely gives the thing a strong glancing blow on the way past. Super speed, super strength, awesome costumes, it’s all there in one neatly wrapped open-world package. But Saint’s Row IV isn’t my game of the year. No, my game of the year is one I’ve been wanting to play for nearly 25 years, one I’ve seen at my friends homes in the past and envied them for it. One I’ve always crossed my fingers for at Christmas but no-one’s ever bought it for me. Until now. Unfortunately, not available on Steam.